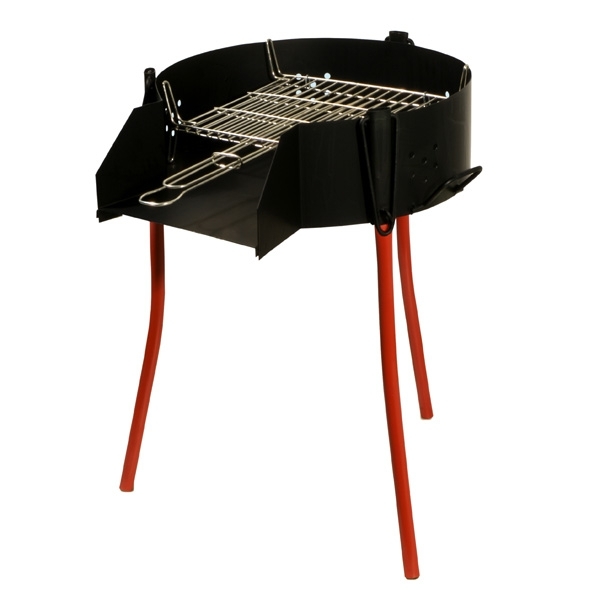 The rustic barbecue is ready to cook with timber or charcoal, but you will find it is also a perfect choice to be used as stand-in for gas burners. 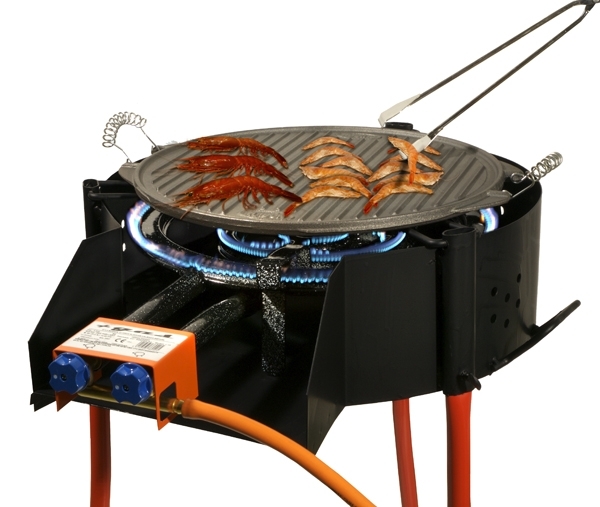 In this case, The barbecue acts as an excellent windscreen that improves the performance of the gas burner. 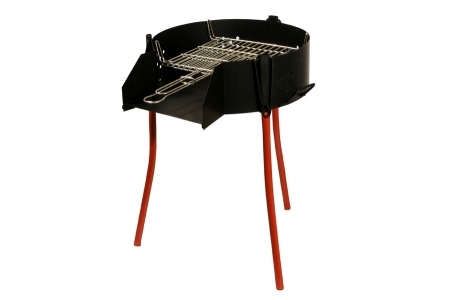 It has three hoops that allow paella pans or grills to stand in. Also you can dismantle the legs in a few seconds for easy transport and storage. 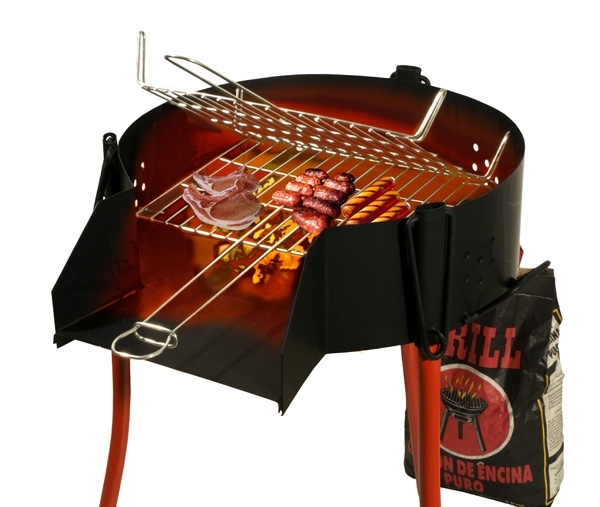 Includes a double sided grill, which will allow you to cook different kind of food on both sides. 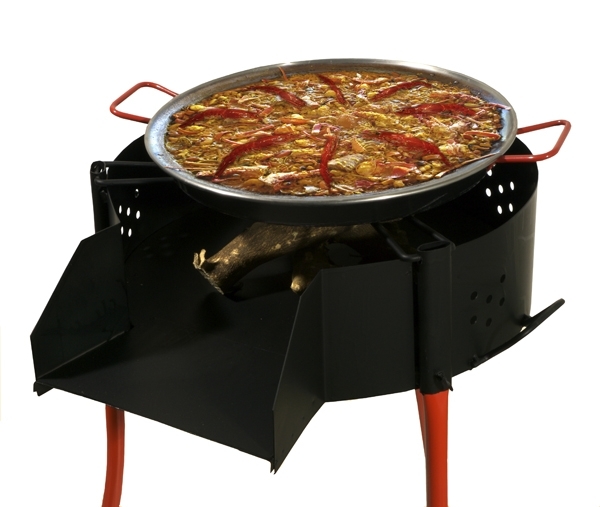 Suitable with Paella Gas Burners up to 500-600mm.